Perennial ryegrass is a very popular turfgrass, especially in the transition zone- the section that runs along the center 1/3 of the U.S. Ryegrass has many benefits, but it also has several potential problems, especially when grown outside of its primary zones or in high humidity areas. Ryegrass is somewhat temperamental in that it really doesn't do very well outside it preferred zones. It can't handle excessive cold and will thin if damaged from cold winter weather. Nor can it handle excessive heat, like in much of the south. In addition, areas excessively high humidity can also be problematic for ryegrass where disease problems can spike. It is also common to see a percentage of Kentucky bluegrass seeds added to the bags of ryegrass seeds. 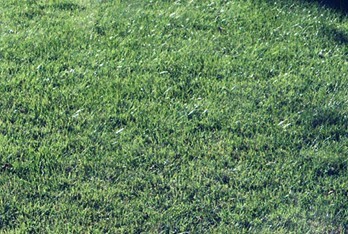 Unlike ryegrass, bluegrass spreads by above ground runners (called rhizomes) and has the ability to repair itself if damaged. 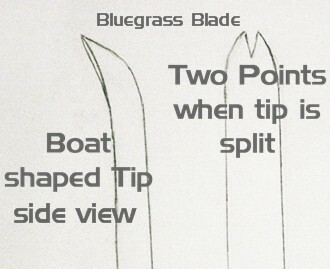 When ryegrass/bluegrass seed blends are grown as sod, the bluegrass rhizomes help hold sod together while the sod is being cut, transported and planted. If you are in the turf business or a homeowner that is considering planting a perennial type of rye, there are some interesting facts you need to consider. Ryegrass is a bunch grass, referring to how the roots grow in a bunch pattern with no runners. It does not spread except as the plant grows larger. It is important to distinguish between perennial rye and annual rye. Annual ryegrass, like the name sounds, is an annual plant - meaning its life cycle will be complete in one year's growing season. Annual rye will die at the end of that season. Annual ryegrass is a low cost seed and is added to economy seed packages. The homeowner often doesn't know the difference and doesn't realize what they are getting. It is also used as a cover crop while low germinating seed is getting ready to sprout. Perennial ryegrass will continue to thrive for many years as long as the environment is compatible for growth. Ryegrasses are some of the first seeds to germinate, often in just a few days after planting. Kentucky bluegrass is slow to germinate so the ryegrass acts as a cover crop for the bluegrass. In most grass seed mixtures, turf-type tall fescue for example, the bag will contain several different varieties. Professional turf-type tall fescue bags will often contain 5 different seed varieties. This way, if one seed variety doesn't do as well in that geographical location, another seed variety will take the lead. You end up with a much better chance of a great looking and thick lawn. Whether by design or not, this is not necessarily the thinking with Perennial Ryegrass and Kentucky Bluegrass seed blends when Ryegrass is planted outside the preferred growth zones. If you live in a northern state, say Indiana for example, and a customer wants you to seed with perennial ryegrass, make sure you select a grass seed blend with at least 20% Kentucky Bluegrass. Why? In a three year study where ryegrass and buegrass was grown outside its preferred growing areas, there was significant ryegrass decline. How much decline? In some studies as much as 95% in three years. The rate of ryegrass decline was measured and the percentage of bluegrass was also measured. After three years, there was an 80 to 95 percent decline in ryegrass while the bluegrass increased making up as much as 95% of the grass species population. Bluegrass is able to do this by the way it spreads. Again, this is where the rye grass was grown outside its preferred zones of growth. If you are in the turf business, this is an important bit of information you need to be aware of. Perennial ryegrass can make a good turf due to its good wear resistance when grown in the right locations. It is used on lawns and on sports fields and golf courses. In the situations with sports fields, ryegrass seed blends contain bluegrass, so the damaged areas become self healing. But if you live in an area where extreme cold weather fronts are common or unpredictable, be sure you explain this to the customer. Be sure your grass seed has a good percentage of bluegrass, so the grass is able to spread and take over if the ryegrass fails to thrive. Perennial ryegrass is a very popular turfgrass, especially in the transition zone- the section that runs along the center 1/3 of the U.S. Ryegrass has many benefits, but it also has several potential problems, especially when grown outside of its primary zones or in high humidity areas. Ryegrass is somewhat temperamental in that it really doesn't do very well outside it preferred zones. It can't handle excessive cold and will thin if damaged from cold winter weather. Nor can it handle excessive heat, like in much of the south. In addition, areas excessively high humidity can also be problematic for ryegrass where disease problems can spike. Turf Climate Zones of the U.S.